Today we lost a legend in our country, a comedian a man that every child (or at least the 90s and above kids) came to see and hear of while growing up and it got me thinking. Truth be told the i was the type of girl that never really appreciated anything that i had i wanted everything (not in a cute way but in a greedy way smh) and once i had it it never made sense to me anymore i actually got bored with maybe it was just one of those phases that we all go through but a tragic event made me change my ways i wouldnt say that it was really good but i thank God it happened lets just say things changed although i might not be appreciating everything and everyone that comes along my way i have learnt to appreciate what i can.So glad i had the bad days, cause without them i wouldn’t appreciate the good days. !Today has been great, im back on track.! When people have bad things happening to them they tend to change the way they view life and learn to appreciate the simple little things that come along their way. You never know what will happen next so take time to consider that everything & everyone you have is for a reason. So appreciate it all because nothing lasts forever, and in just an instant it could all be gone! People need to start realizing what they have in life and appreciate the little things even if they have no value, because someday, they all might be gone! and to all the fallen legends we appreciate you and thank you that you changed our country in one way or the other. Rest in Peace Mzee Ojwang you shall be missed dearly. That was some naked truth love. May his soul Rest In Peace…and as always awesome advice. 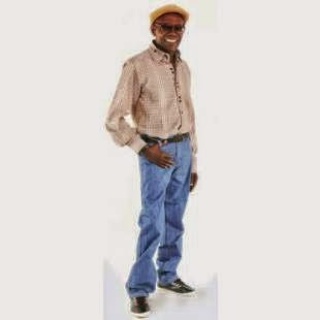 RIP Mzee Ojwang’ you will be missed. Nice piece dear! We should really learn to be grateful for what we have now before we lose it all. Life is full of surprises.